Jan Tusar walked off the Carnegie Hall stage, put down his violin, wrote a note, and put a bullet through his head – in front of two witnesses. 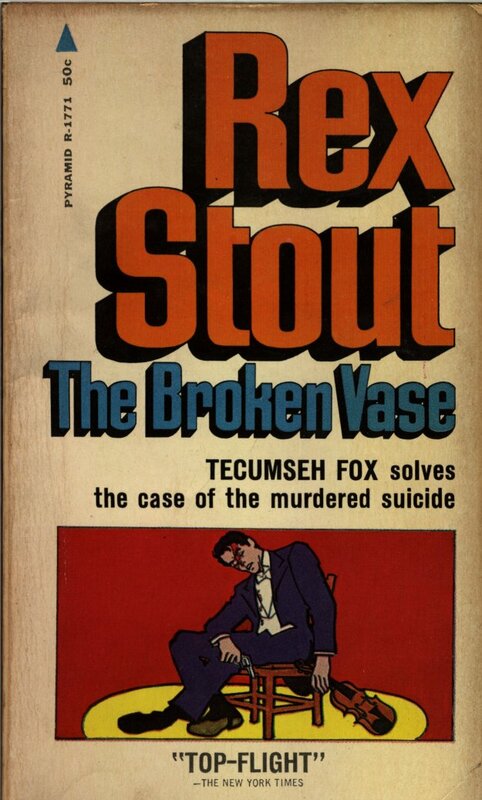 A clear case of suicide, the cops said – but detective Tecumseh Fox didn’t go for the easy answer. Tusar was murdered, Fox claimed – and uncovered the diabolical trick that proved it. The next move was up to the killer – and it came fast. 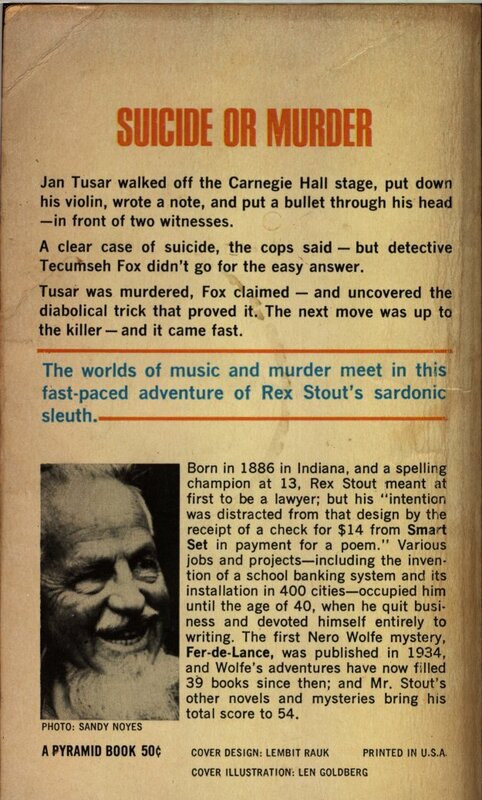 The worlds of music and murder meet in this fast-paced adventure of Rex Stout’s sardonic sleuth. – until someone slipped him a poisoned highball in front of eight witnesses!